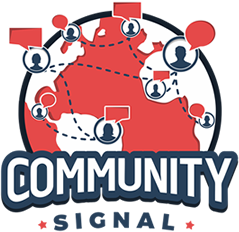 If you’d like more behind the scenes clips and the chance to contribute potential questions and conversation topics to the show, please consider backing Community Signal on Patreon. 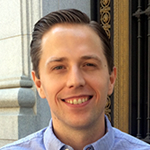 [00:00:24] Patrick O’Keefe: Hello and thank you for making time today for Community Signal. This episode is a fun one because you’ll be getting bonus insights from an array of different past guests. We’ll be talking about what a good community job looks like, how nurturing non-stereotypical elements of your community can lead to a better community, the responsibility we have to push for more senior roles at our companies in order to post this industry forward and more. These bonus clips are created by way of our Patreon campaign as a perk of supporting the show. The clips in today’s episode are from episodes 86, 87, 88, 89, 90, and 92, and were originally released on Patreon between September 14, 2017, and November 4, 2017. Our Patreon supporters were the first to hear these clips, and we keep them exclusive for a period of time. If you’re interested in supporting the show and receiving perks like this, please visit communitysignal.com/innercircle. It’s always amazing when a listener values the show enough to put a few bucks every month into it. Thank you to Jules Standen, Marjorie Anderson, and Rachel Medanic for being among this group. To start us off, Daniel Marotta, director of community at early education and child care provider, Bright Horizons, talks about his career path where he found his way to community through customer service, going from an operational financial services job, all the way to his current role. [00:02:04] Daniel Marotta: For those that are looking to break into the community management profession, I had a unique career path. I came out of school, and I didn’t really know what I wanted to do. I landed in this financial services role that was very operational. I was answering the phones, I was corresponding over email, and that’s where I got my customer service skills. That’s where I became a little more thick-skinned. I know customers can be quite mean when they don’t get what they want or they don’t get what they were expecting. To be able to correspond with a client, I think is an important skill to have if you’re looking to be in the community management industry or as a discipline. After that role, I bounced internally at that organization and ended up supporting the e-commerce team, both from a website release management perspective but then also from a content management perspective. If you marry customer service with website release management and content management. I mean, those are the basis for a great community manager. I think if you can, maybe own two, out of those three skills, you’re already on your way to being a great candidate as a community manager in any one of the organizations that I’ve worked for. Communities are popping up, left and right. There’s no one way to manage a community but, like I said, if you had two out of those three skills, you’re only one up on some of those others that may be grabbing at that same opportunity. That approach to things, the hospitality industry customer service approach has really informed my career from a young age and just in trying to take that approach in dealing with members. [00:04:04] Daniel: I would also instill that a personality goes a long way to, you don’t want to just cut and paste a response from some template that your company printed out. Put a little bit of yourself in your responses. Build up a personality that really shines through with how you correspond with your member base. I think it goes a long way. You’re not just a robot behind that avatar. There’s actually a real breathing person behind there that actually cares about what you’re saying. I couldn’t agree with you more that a customer service savvy person with a shining personality can be very successful in wherever they land as a community manager. [00:04:42] Patrick: Sticking with careers and community, in response to the episode where I talked about my own career change, Patreon supporter Serena Snoad asked me, what makes a good community management job, and what warning signs to look for as you consider new opportunities? Thank you, Serena, for supporting the show. The first part of that, what you think makes a good community role and what things organizations can say or do that show they value and are taking community seriously. I think what makes a good community role is one that’s actually community, that’s really about connecting members or customers with one another and not just broadcasting from the brand perspective. A lot of community roles aren’t really community. A lot of community managers who have that title don’t really do community work. It’s not that uncommon to see a role that is search marketing, or email marketing, or something else that’s really not community. For me, a good community role is actually doing community work in an environment where community is valued. We all have to prove our value, we all have to show ROI, whether it’s community marketing, customer support, sales, finance, we all have different metrics where we show our worth. And community is no different, like I don’t want different roles. I just want the same roles. If we have to spend an inordinate amount of time showing our value, if we have to spend a substantial portion of our week preparing reports and showing that we should deserve to exist in the organization, we’re not going to be effective. We have work to do like everyone else has work to do. Yes, ROI, data, analytics are all a part of our work , but they shouldn’t be a part of our work more so than other departments. There has to be buy-in for actual community work at the organization. And as I interview and talk to different companies, it became clear that some companies didn’t have that buy-in, even if they were hiring for a role they termed or thought was community. For me, it’s really about an organization that understands the value to some extent, and isn’t going to place a burden on community that isn’t placed on other departments, just treat us the same, don’t make us do more than other departments. That’s not saying that you can’t thrive in an environment, that you can’t go in there and show the world, but when you asked me what I think is a good community role, I think a good community role is where people believe in community and believe in its value, and, yes, we show value and we measure it, but we also aren’t spending a substantial amount of our time doing so or being called into question every single week or every single month whether community itself should exist. I want to work at a company that believes in it and it wants to invest in it. That’s the type of role I found, is a role where community was valued, and they want me to come and do the work and provide me the resources to be successful. Because otherwise, you can be the greatest community professional in the world but if you don’t have resources and support, you’re just not going to be effective, you’re not going to be as successful as you can be. The other side of this, are there any warning signs or things about roles that are unhelpful. I think when I, as I mention on the episode, but when I come in and detect that there is office politics or someone wants community or is mad that I’m there or wish I wasn’t there, that’s a problem I don’t have a lot of time or tolerance or patience for office politics. I want to do great work and I want to be a happy individual. Both of those things are threatened by office politics and by territorialism. I don’t want to see any of that. Other warning signs, any a kind of short-term talk about community is always something that makes me apprehensive. Community isn’t a three-month investment, it’s not a six-month investment, I would argue it’s not even a 12-month investment, for the most part. It’s something that you see the value of, and that to see results and to see ROI, you’re going to have to invest in it. If people come to me and say, “What can we do to our community,” say it has fallen in three months or, “Should we start a community if we only have 3 to 6 months?” My answer is no. Send some tweets out, do something else, invest in something else that you believe in. Community isn’t one of those things that you hold a gun to for three to six months and think it’s going to work right away, that’s just not how it happens. Some communities are successful overnight, some are not, some take a while. So, before you even take that first step, understand what it is and invest into it. Short-term talks about community scares me off, talk about community having to serve marketing kind of scares me off, if I’m being honest. It’s not I know a lot of community professionals operate under a marketing department, and sometimes that can work out very good. I think the message that can send that’s bad, is that community serves marketing, community does not serve marketing, community serves the community and therefore it serves the business. And so you have to find metrics that make sense for community that serve the business, not that makes sense for marketing that serves the business if that makes sense. Because marketing is a different type of funnel, it’s a different type of operation. It values things differently. While there can be similar metrics in some cases where there can be crossover and marketing makes a community better, community makes marketing better. That’s how it should be. Community need some independence, free of marketing, and free of marketing goals in general, not all marketing departments are the same, but in general, to do the type of work that community professionals need to do to be successful without having to worry about whatever marketing promise for acquisition in the third quarter, like it’s not part of the process, community operates at a different wavelength. I hope those answers are helpful. They’re certainly not 100% complete, but they are the things that I considered and looked at as I considered my role. Thank you so much for the questions and thank you for listening to the show. [00:10:09] Patrick: I’d like to stop right here to tell you about our excellent long-term sponsor and supporter of the show, Higher Logic. Higher Logic is the community platform for community managers with over 25 million engaged users in more than 200,000 communities. Organizations worldwide use Higher Logic to bring like-minded people together by giving their community a home where they can meet, share ideas and stay connected. The platform’s granular permissions and powerful tools, including automated workflows and consolidated email digests, empower users to create their own interest-based communities, schedule and manage events, and participate in volunteer and mentoring programs. Tap into the power your community can generate for you. Higher Logic, all together. Next up, former Wikimedian of the year, Emily Temple-Wood and I discussed how nurturing the non-stereotypical elements within a community can lead to a better community. [00:10:57] Emily Temple-Wood: There are marketing stereotypes about what say, women want, or what LGBTQ people want, or what this group and that group, and whatever want. Broadly, sure, but I think that nurturing non-stereotypical elements of a community is really important. By focusing on diversity and by focusing on people over technology, you can go a really long way. The only reason I’ve been able to do everything I’ve been able to do is because I was nurtured and encouraged by not just other community members but people-in-charge, people at the Wikimedia Foundation. Without that encouragement and nurturing, I wouldn’t have even started Wikiproject: Women Scientists. I wouldn’t have experimented with teaching people in person. I wouldn’t have done anything. I think that goes for other communities too. Nurturing people, nurturing non-stereotypical elements of your community, and nurturing diversity. I know that there’s a lot of tech, there are a lot of tech-based solutions, and I do not mean to neglect our lovely techie friends, they are wonderful humans and I love them so much. Wikimedia found out the hard way that when you focus too much on tech, you neglect the human element and you lose a lot of what makes your community special. [00:12:21] Patrick: What was something that happened where there was a focus on tech over people, not being as exposed to Wikimedia, what’s something that happened? [00:12:26] Emily: There’s a thing, a couple years ago, where there’s some leadership changes and. I’m greatly simplifying a year and a half of major, major in community drama. Other Wikimedians, forgive me for the oversimplification, but a lot of the problem was that they were focusing a lot on tech and that running the community like it was a tech company as opposed to a community built of people with non-profit, altruistic aims. It almost wrecked the whole thing. It got really, really bad. The community was not great for a while. Successful things have come from intentional nurturing of people. I know that’s probably some community cliche. Focus on people and not tech. I’m not plugged into this at all. [00:13:17] Patrick: You’re right. It’s cliche but also, I totally get your point because– The Wikimedia point, it’s almost there are companies who invest a lot in platform, let’s say. [00:13:26] Patrick: You might have a look a Wikimedia-type company that invests a lot in the software that runs a site. Maybe, they want a license that out, or maybe they want to put it on a Wikia, or maybe they want to do something else with it. They spend a lot of resources on that but not on, maybe, trust, safety, community, people-related aspects that really power the site. That happens with a lot of companies where we’ll have a startup that, well Genius, for example, Genius.com. I wrote an article a while ago. I mean, they had $60 million in funding and had an editor report abuse button yet. I don’t know [laughs]. I don’t know what to tell you. You don’t know what you’re doing. When it comes to the UGC in the community, they’re like,”You don’t know what you’re doing.” You may have $60 million but it shouldn’t be taking you that long. [00:14:05] Emily: Right. Exactly. Totally hitting the nail on the head. I think it merits saying repeatedly until people get it. That you need things like invitation culture and funding community members to do cool stuff, simple things like in-person meetups and conferences. All the best stuff that any of us have done has come from just being together in a space and that they’re safe throwing some spaghetti. [00:14:33] Patrick: When you talk about encouraging people to act in a non-stereotypical way, to me, it’s the idea of, yes, we have community standards, but those standards have to be inclusive to the point where…Here’s a person in the community. They are participating in line with the guidelines. They’re not doing anything wrong. They’re just different. Everyone else may see them as crazy but they’re not. They’re just different, so you have to have standards that defend those people and allow them to have space in the community because they’re here like anyone else. At the end of the day, we grow and we learn, and we have better discussions because they are here. Community guidelines shouldn’t just create this idea of everyone being the same. They create a baseline for us to respect each other and be productive. [00:15:14] Emily: That’s very true. [00:15:15] Patrick: But we have to use that to make sure that we don’t just make everyone the same, and that we’re actually defending people who maybe aren’t the most popular in the community. Maybe 30% of the community doesn’t like what they’re doing, or disagrees with them, or doesn’t see them as smarter, intelligent, but they’re not doing anything wrong. They’re just different. [00:15:34] Emily: Right. The corollary to that is that we also need to not just enforce the letter of community guidelines, but also in a lot of places the spirit. Yes, defend the weirdos in your community. I know a lot of people on Wikipedia who they’re good people, they’re just weird, and that’s totally okay. The problem comes when people follow the community guidelines to a letter, but they’re actually manipulating them in really toxic ways. Being able to balance that is difficult, but hopefully it’s doable. [00:16:06] Patrick: With so many community platforms in existence, many shy away from building their own as it feels a lot like reinventing the wheel. Jenn Chen, formerly community manager at Procore Technologies, and now at CallidusCloud, explains why they were attempting it at her former job. Are you using Lithium at Procore? [00:16:22] Jenn Chen: We are building our own [laughs]. [00:16:24] Patrick: Why are you building your own, is that something– Again, you may not going to answer this one if you advocated for it or not. Why are you building your own, was there something that wasn’t in the market already? [00:16:33] Jenn: I think this process started a little bit before I joined, but it is something that they asked me when I interviewed. Having been in the community space for a while, there are pros and cons to every platform. There are certain things that you can and can’t do. I remember, especially when I was at Intuate, my manager would come over to me or an executive come over to me and say, “Hey, I want to see this happen. I want to see who’s looking at what knowledge base articles for example.” I’d be like, “We can’t do that.” We literally cannot do that. We would want to, but we can’t do that. Being blocked by what our platform could or couldn’t do was a bit of a challenge as a community manager. The exciting thing with building our own platform, is that the sky’s limit. I can think of all these different features that would be beneficial to the community, talk about that with a team and say, like, what’s the scope of this, how much do we need this. Just evaluate it from all perspectives, and then we can either implement it or put it down on the roadmap. [00:17:31] Patrick: Pulling from your experience, obviously at Lithium and just the software industry, especially the enterprise side community has gone through some buyouts, some consolidation, as you’re well aware of. Do you feel having dealt a lot with that space that some of the enterprise and end-type players are…You just mentioned the idea of I want a feature, it’s not really a huge feature, but I don’t feel like I can get it. Do you feel like that sort of thing is common with a lot of people who make an investment into an enterprise level platform, where maybe there’s some buyer’s remorse in the sense that they can’t get something customized because it’s such a big ship? It’s such a software platform used by so many people that maybe we’ll see more custom applications out there because of I guess in some way the lack of competition, like the lack of competition as the space shrinks, is there anything in the air in what I’m saying? [00:18:23] Jenn: It’s definitely a challenge. I think, for all community managers out there, there’s an idea that you have, or someone on your team has that idea of what you want to do, but because you’re limited, and oftentimes you’re dealing with a limited budget as well, your hands are tied. That’s a tough spot for the community manager to be in. A lot of times, you want to advocate for your users, you want what’s best for them, you feel like there’s a great need, but your hands are literally tied, and you just as a community manager, you have to be very careful about how you communicate that. [00:18:56] Patrick: Is that, in some cases, the sense that you have a budget that’s allocated for external? Like you’re paying for a platform. First is, you have dev resources internal you can pull from. Are those sometimes more flexible, where you can say, “Okay, we’ve got developers in-house, they can spend a couple hours working on this.” Is that a more flexible thing for some community managers do you think? [00:19:14] Jenn: In my experience, I think either way, it’s a challenge, because you might want your dev team, even if you have good resource internally, you might want them to work on the community, but they’re working on the product, and a lot of times the product is what people are focusing on, because that’s how I get accounts or customers or money, what have you. It’s a fine balance, and a lot of times you’re just fighting daily battles, trying to see new opportunities, whether it’s a customization that you can do yourself, or that you can find a workaround or something out there. [00:19:47] Patrick: Trying to find a positive here for community managers, you’re not really helping me out here, Jenn. [00:19:51] Jenn: We’re all in this together. [00:19:55] Jenn: I think you just have to be creative. I think that’s what it is. It’s easy to throw in the towel and be like, screw this, I give up. But I think there are other ways around it, and especially my first role where I landed in community management unexpectedly, especially moving from the moderator role to the community manager role unexpectedly. One thing was just keeping my head up, and seeing this as a new opportunity to learn, to expand my horizon. The great thing is that, there are a lot of resources out there. There’s a Slack channel, there’s Facebook groups, there’s different ways that you can find resources and learn from each other. I think because we’re all in the same boat, that this industry is a little bit different than other ones where we want to support each other and share experiences and grow together. Plus, we’re community managers, so it’s part of who we are. To support each other, share our best practices and things like that. [00:20:43] Patrick: [whispers] There are also podcasts. Back to careers, in this extended clip from our episode with Project Management Institute’s, Marjorie Anderson, we discuss how if you can afford to push the community profession higher, you should try advocating for more senior roles. 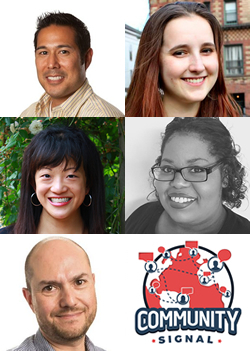 As an aside, Marjorie recently launched a great resource for community pros working in the association space at communitybyassociation.com. [00:21:07] Marjorie Anderson: You’ve talked about it a couple times on your show. I’m really interested in the career journey of community managers, because it seems like there’s a very short ceiling and once you get to a certain point, that’s it. You’d have to branch off into other professions or just stay where you are. I’d really be interested in hearing more about that. [00:21:27] Patrick: Let’s talk about it. Obviously, you have your boss, but as far as your career path, and where you can go to from here as an engagement manager at PMI, even though you’re only just four years in, that’s it you’re almost to the top as far as you can go? [00:21:39] Marjorie: I certainly don’t think that I’m as far as I can go. The great thing about the way that we designed this role is that there are different levels to it, and then there’s my manager’s role. But then after that, I don’t know that she has got it in her head that she wants to be community engagement manager forever and ever, but there’s definitely room to grow. I’ve heard some of my peers, in other communities that I belong to just say that I don’t see a glass ceiling where I’m at. Either I see that there’s a certain point that you can get to, and then that’s kind of it. I’m interested really to see what the future of the profession looks like across the landscape, and what other roles are out there for community managers. If they’re looking to even maybe go past, say, director of community, what does something above that look like? Or what does the future entail at all? I think that’s something that has yet to be seen, based off of the research that I’ve read and some of the conversations that I’ve been a part of. Again, I’m fairly new to this role, and I’m still trying to get my feet under myself a little bit more before I start thinking about taking over the world. [00:22:50] Patrick: You’re halfway there. I think that your perspective is interesting to hear, and it shouldn’t stop you just because you’re only here for four years, four years is a long time for you guys more than a lot of people. What I think we see if you go above director or VP, chief community officer, let’s say, because there’s only a handful of those. What we’ve seen mostly with some exceptions, the organization’s size matters too, the director at a 30-person company versus the director at a 500-person company. Like Cindy Au, a previous guest on the show just took a job as VP of community for I think it’s Foodworks, which is like a food incubator in New York City that helps startups in that food space, gives them space to grow, space to run their business. She’s coming from Kickstarter where she was VP of community. In that case, I don’t know her journey exactly, but what we see or what I see often with VP and C-level roles, is they first started as lower and then the community, because it was successful, people understood, okay, this is a bigger part of the business. Then to your point on the show about conversations and about people getting it, understanding it, then it was necessary to grow a team, and as you grow a team, you get hierarchy, and as you grow that team, and you stay at the organization, you move up. You might start as director and then a lot of those VPs and C-level people are people who were there already, and then just advocated for community and it got recognized, and so they found a way up. The answer is there’s not. I mean, I just took a job about a month and a half ago, director of community job, and the reality is that, as someone looking for a senior level role, and I talked about this on the show earlier this year. We did a show on the ceiling of the profession with Alexandra Dao, who works at Vimeo. It was tough to find a role that gave me something where I felt like I was moving up and taking a positive career step. It was tough. I’d 1 in 10 are senior roles. I mean, even that would be an exaggeration. It’s tough. And at this role, I took a director role, and that’s what I was after. I was okay with the title as long as I was top of the department senior level building something good. It’s definitely a challenge to find a role that is senior where people are just hiring or it’s not just something you were given as part of a promotion. At this role, I could see if things go very well, if I do a great job and we are successful and I grow this department under me, I just had my first person come under me and do my first direct report after about a month and a week here, so that was pretty good. I’m happy to have someone. But if things go well here, my only way is really, okay, then I’ll move into the senior leadership at the company and VP, and maybe chief community officer if we could create it in the future. But, yes, it’s very tough. [00:25:35] Marjorie: Yes, it is. At this point in time, I can’t see myself doing anything else. I really love community work. It’s one of those things where I didn’t realize because, like I said, I didn’t know what community management was, I didn’t even belong to a community when I stepped into this role. Once I started really seeing what community management was and then talking to other community managers and getting involved, it really opened my eyes and I thought, “Man, this is great work. I really want to be a part of this type of work for as long as I can.” And we’ll see what the future holds, but, right now, it’s a great ride. [00:26:10] Patrick: I encourage people not to get too down on it. When you see that there aren’t a lot of senior roles out there, for a couple of reasons, it’s not ideal, but it’s just the reality we have to deal with but for a couple of reasons. The first is that the role of community manager has a wide salary range. What I mean is that there’s a lot of community management research that comes out throughout the year, different organizations jockeying for influence, whatever, but the most important piece of resource that comes out every year for the community profession is whoever is doing the most comprehensive salary study. The CR has been doing it for the last few years. Before them, Online Community Forum One did a really good one years ago, Bill Johnson over there. Whoever does that piece of research, that’s the most important piece of research for us every year because it gives us a sense of what our peers are making. I think the last one was like that community manager was an average of 70 something, but the range is over 100. It depends on your market, it depends on your experience level. There’s some community managers, people run around with that title who are amazing, tons of experience, who are well paid. They just don’t have the title. I do try to push people to take the title as much as they can and advocate for. And if you have the opportunity, push us up. I did that with my job search. I also have no kids, and I’m not married and I have no dependents, so I can afford to push. Those of us who can afford to push, push. But the salary range is wide, and if you get in a company where you do very well, then you’ll push up or you’ll go somewhere else. There are opportunities if you do a great job. It is both frustrating. It took me a couple of years to find a job I wanted. It took me a couple years really to find a job I wanted, and I was very fortunate to be able to be patient. Again, very fortunate, no dependents, I wasn’t in a rush, I was lucky. But opportunities do come up and it’s not as stark as amazing sometimes. I think what do we have opportunities and you just have to sometimes be patient, but we’ll find them and this is getting better. I’ve been in this space 20 years in moderation from ’98 to next year it’ll be 20 years in moderation. We have a higher quantity of jobs available than ever before, a higher quantity of senior jobs available than ever before. We’re trending in the right way, but it’s a slow growth and I think– You were talking about how during the show you were going to try to take a social media manager role. I have this belief that social media manager, the job title got explosive really quick. It grew fast, there’s a ton of them. They’re everywhere. Where community manager, which existed before that for a long time, has been slower, the growth was slower, the growth was slower during social media and manager but the growth is still there. My belief, my prediction is that that growth will be more sustainable, where at one point every department will use social media, HR, we use social media. It’ll be like picking up the phone or using a word doc, you’ll have to know how to use Twitter. Community management to your point during the show is a strategy, and that’s a strategy like marketing, like other job functions that are applied to tools like social media, like the phone, like mail, like everything else and that will exist longer. We’ll see. [00:29:06] Marjorie: It will be interesting to see and all my research and everything. I’m going through and trying to find out as much as I can about the history of community management, and like I said, when I first came into it the Well, I didn’t know what the Well was, I found out what the well was last year and I’m like, “Huh, interesting.” It’s really going back to the roots and seeing how far it’s coming, where we’re going to go. It’s definitely interesting. I’m hopeful like I told my manager. I said I don’t need the title of community manager. I don’t necessarily even need a title that says I’m head of community or whatever but what I want to do is continue to contribute to the space, and that’s what’s important to me. That’s really where I want to focus my attention and my energy and is really growing, expanding my knowledge and growing community here at PMI for as long as I can. If one day I find that my work here is done, then I hope to be able to do it somewhere else. [00:29:58] Patrick: Our last clip is with Dave Cayem who has since joined TripAdvisor as head of forum moderation. It’s about community missions, and how your mission isn’t any good if it doesn’t align with an actual need that your members have. You had brought up the idea that some of the old in your word measures of community success, you cited engagement, page views, et cetera, are often the wrong thing to measure. How do you mean? [00:30:22] Dave Cayem: Those are the traditional measures. How many people, how often they come back, how many pages and messages they’re viewing or whatever. Those are entirely valid in some business scenarios. At Delphi, for example, those are valid, because if you’re selling ads, then you need pages to put those ads on and people to see those ads, so those are all valid, but there are different forums where those aren’t the right measures. On a customer support forum, the right measure might be incident deflections. How many customer service inquiries that you would otherwise have to pay to handle that you’re not able to handle. Again, this is old hat for you, is that, community is a business tool like any other, and you use a tool to solve a problem. You need to put up nail into some wood, you have a hammer, because your hammer will allow you to solve that problem. Online communities are exactly the same. In the early days of online communities, it was we need to have an online community. We don’t know why, but it’s the things we’re going to create one. Then those communities basically faded away because they weren’t well thought out. One of the things that when I spoke at the conference about community, I would say, moderate to your business goals. If you have a community where having a lot of interaction, sometimes heated spirited conversations are important, have an off-topic area where people can complain about Donald Trump. That’s entirely a reasonable and appropriate, and as long as the people that don’t want to talk about that want to stay on topic, have a place to do that, that’s fine. But if you have a community that’s dealing with a technical topic, or it’s an open source community, or it’s a customer service community, that’s not appropriate, because those aren’t your business goals. I think that anybody who knows anything about online community says, you really need to think through why you’re launching a community before you launch it. Then the only time the communities work is when the business interests and the users needs intersect. In the karate forums that are yours, you have business interests, and the users use it because they need a place to get information, and about their hobby, and how to do certain things, and where to get certain pieces of equipment, or whatever. Those two things intersect, so you have a successful business. But if I’m in a company, and I’m in the marketing department and say, we need to use online community to reinforce our brand, that’s a valid business goal but if I’m a potential user in the community, why do I care? You have to get that intersection between community mission and user need, and you have to figure out what that community mission is before you launch your community and not just build it and they will come, which everybody knows doesn’t work with online communities. [00:32:41] Patrick: In that example, when you say something like you’re building a community because you want to strengthen your brand. What would be an alternate measurement of that as opposed to engagement or whatever that might mean, because it’s such a big term or page views? What would you be measuring for? [00:32:53] Dave: Sure. Let’s say the example of I’ve got a company and I have some kind of hosted software, and I have a community for users of that software. If all the people that are in the forum are current users, what’s the renewal rate between those that are on the forum and those that aren’t on the forum. That would be something. So if the renewal rate among those that are in the forum is better than those that aren’t in the forum, now you can make and assign a number to that. It’s okay. We know that being in the forum makes it X% more likely that you’re going to renew, and that has a dollar value to it, and you can assign a value to it, that’s where you can start to measure. Then you can start creating a program, editorial program or programming a schedule that gets that. If it’s having people in, the product manager is going to talk about the next round of updates to the product, then they’re going to do an AMA, and we’re going to have all you people in and you can ask questions about it. That gives you some benefit, because the people are feeling that they’re being listened to, so there’s more affinity to the brand and more loyalty, and you can get renewals. Again, if it’s a customer service type forum and you can measure the measurement I’ve heard is for every one answer you get in a support forum, there’s going to be 20 people. There’s the original post that can get their answer, there is going to be like 19 other people that look at that and you going to have their answer they’re not going to have to contact you. Your customer support manager should know how much each incident costs to service and you say, okay, we answer 10 questions, so we’re going to multiply it, but then I’m just going to say, okay, those were incidents that we did not have to handle, because we’re the online community so there’s dollar amount for that. When you start to measure the value of community, then you can start understanding the ROI on community, and you can start moderating toward those business goals. [00:34:24] Patrick: Thank you to all of our previous guests who shared their insights with us for this episode. Here they are one by one, with details and where you can find them online. Daniel Marotta can be found on LinkedIn at linkedin.com/in/danielmarotta and twitter @MassMarotta. Connect with Emily Temple-Wood at emilytemplewood.com. Follow Jenn Chen on twitter @JenntotheChen, and LinkedIn at linkedin.com/in/JenniferAChen. Marjorie Anderson is on Twitter @Marjorieayyeee. That’s M-A-R-J-O-R-I-E-A-Y-Y-E-E-E and she writes at communitybyassociation.com. And for more on Dave Cayem, please visit cayem.com, C-A-Y-E-M.COM. For the transcript from this episode plus highlights and links that we mentioned, please visit communitysignal.com. Community Signal is produced by Karn Broad and Carol Benovic-Bradley is our editorial lead. See you the next episode.